Jeenlingua We make world closer! Jeenlingua Translation Services| Affordable and Professional language translation company| Serving in India, UK, USA, Russia, Korea, China, Japan etc. 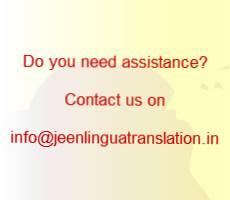 Jeenlingua translation company in India, provides excellent services related to languages and serving worldwide clients of USA, UK, China, Japan, South Korea, Russia, Australia, etc. We are working from India, but serving clients coming from globe for their affordable and professional language translation needs. It specializes in a full range of high-quality language Translation services, from translation of a one-page birth certificate to the coordination of multi-language Translation services for national & international companies. Our professional attitude towards our clients has made us a trust worthy name in the market. We are please to inform our worldwide clients that we are working 24/7/365 days for providing you a continues support in your language translation needs. Our customer representative will reply you in max 30 minutes and that makes us responsive name in a market. All of our translation services are handled by professional translators, Proofreaders who are native speakers in target language. 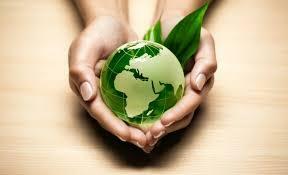 They are the experienced & therefore with the great team, we are providing best to our clients. We & our team are committed to provide you best in terms of quality & on-time delivery. 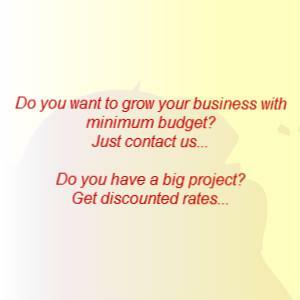 If You have any query, feel free to contact us, we will reply ASAP.